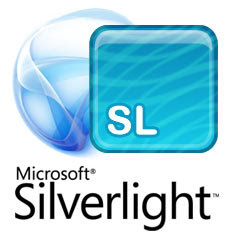 As I'm sure most of you know by now (and you would know if you were following my "strictly-ish business" Twitter account - no "lunch reports," I promise), Microsoft officially released Silverlight 3 on July 10th. That's right. Less than 10 months after the official release of Silverlight 2, we have Microsoft's 3rd revision of its headline-grabbing RIA platform. Microsoft is clearly working fast to add features to Silverlight and in the process is releasing new versions of the platform at a record pace. At this pace, we may have Silverlight 4 release candidate bits around the time of MIX this March! Telerik is working fast, too, to keep the RadControls for Silverlight in-sync with the platform. As a matter of fact, you can already download the RadControls for Silverlight 3 from the Telerik.com Latest Internal Builds tool. This version of the Silverlight controls makes Telerik the first vendor to ship support for Microsoft's updated platform. We will ship our "official" support for Silverlight 3 in the forthcoming Q2 2009 SP1 release for the RadControls for Silverlight (due in the next week or so). If you're not ready for Silverlight 3, don't worry. We will still ship Silverlight 2 and Silverlight 3 binaries for the next few updates. 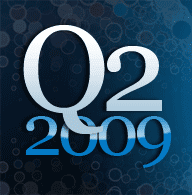 As we ramp-up development for the Q3 2009 release, though, we will start to leverage the powerful new features in Silverlight 3 to ensure you get the most performant and feature-complete controls available. 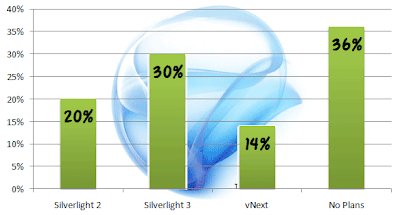 If you are a Silverlight 2 developer, what are your plans for Silverlight 3 development? Is there any reason you would not upgrade right away to the latest version? The platform is fully backward compatible, so it's hard to imagine a scenario where you wouldn't upgrade your development environment to Silverlight 3. If you are in this predicament, though, let me know! I'm very curious to discover how developers are dealing Silverlight's rapid evolution. I've always said that you can never trust a single poll, survey, or judged result in isolation. Statistically, there are always "outlier" results, so you need to aggregate results from a variety of sources to create accurate assessments of anything subjective. 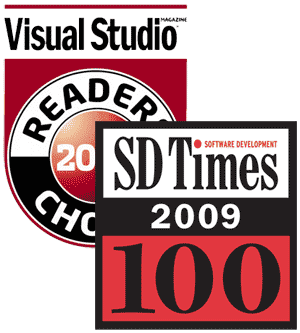 That's why it's especially significant that Telerik has been recognized by not only the 2009 SD Times 100 Awards, but also the 2009 Visual Studio Magazine Readers' Choice Awards. Combine that with our strong showing the 2009 aspnetPro Readers' Choice Awards and the 2009 Code Project Members' Choice Awards, and it becomes clear that it is no fluke that Telerik is continually recognized as the best in industry awards. 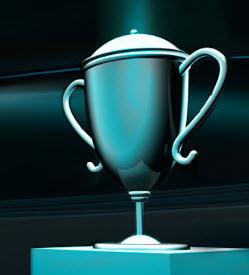 Our most recent awards are for similar recognitions: creating the best web and desktop components for .NET. Specifically, we are the winner in the "Component Suites for .NET - Desktop and Web" category in the 2009 Visual Studio Magazine Readers' Choice Awards (along with a handful of other "2nd place" awards) and we are recognized as one of the leading vendors in the SD Times 100 "Components and Libraries" category. Combine that with the recent "casual" survey that shows Telerik as the leading 3rd party Ajax suite for .NET, and you start to paint a picture of quality you can trust. Of course, as with any of our awards- Readers' Choice or not- we must thank you for our continued success! Your votes and your feedback help make us great and we focus on that everyday, renewing our commitment daily to make tools and components that make your developer lives simpler. Thanks for helping make the first half of 2009 a great year. We can't wait to make the second half (with your help) even better! And since someone asked during today's live webinar for a quick, practical example of getting started with RadXmlHttpPanel, I've embedded the "Getting Started with RadXmlHttpPanel" video above for quick reference. Enjoy! 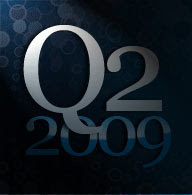 You can tweet about the Telerik Q2 release as much as you like, but we'll only include one "entry" in the random prize drawing per person (or more accurately, per Twitter account, which generally should be one entry per person). You can craft your own original tweet or simply re-tweet what others are saying (just don't forget the important hash tag). 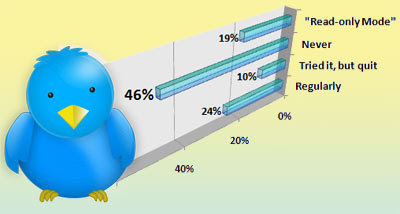 If your tweet is really good, we may even feature it after the release on various Telerik online properties (so put those creative tweeting caps on). There aren't many easier ways to have a shot at winning Telerik's $1300 Premium Collection, so take a minute to share your thoughts on our 2nd major release of the year and you just might win a prize!